Key West is one of the most beautiful islands in the world, and certainly in the United States. 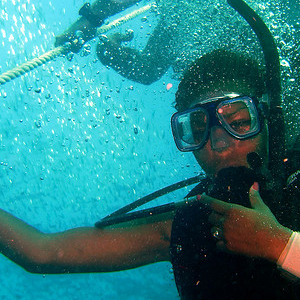 Key West diving and snorkeling locations draw tourists from all over the country. There are hundreds of diverse species of fish and wildlife that live in the area, including the ever-popular starfish. This keystone animal, of which there are about two thousand species in the world, has a strong presence here on Florida's southernmost island. The Asteroidea, as starfish are officially named, have as wide a variety of appearances as they do species. Many have five flexible arms radiating out from a small central body, which is where they got their name. However, quite a few species actually have extra arms. Larger starfish especially are more likely to have more arms. The 3 foot long Sunflower star, which has up to 24 arms, is one example. The aggressive Morning sun star has up to 16 arms and is almost a foot and a half long. There are plenty of large starfish with the more traditional five arms as well though, including the Pink short-spined star and the Velcro star. As mentioned, their sizes and colors vary as well. While certain species can grow to be 2 or 3 feet long, there are also species less than an inch wide. However, the most common size is around 6 inches long, give or take a couple inches. When it comes to color, they can be pink, blue, purple, red, orange, or just about any other color in the rainbow. Many are multi-colored and quite beautiful. Different starfish have different prey. The aforementioned Morning sun eats other starfish. There are some species which are filter feeders and help to keep their surrounding water clean. Many eat shellfish and other small prey such as sea worms and snails. One interesting thing about starfish eating habits is that many starfish have the ability to begin digesting food before it has even been eaten. The way they do this is by having a small portion of their stomach actually come out of their mouths and start to digest and absorb prey. This allows a smaller starfish to eat a larger animal. Starfish are found all over the world, in all oceans and climates. 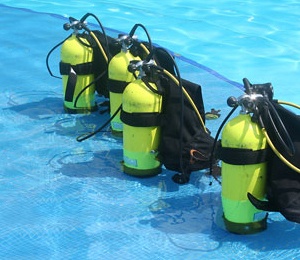 They are also found in both shallow waters and deep in the ocean. The one place starfish cannot live is freshwater rivers and lakes. They can only survive in saline environments. Outside of that limitation they are very adaptable and hardy. The Anthenoides peircei and the Common comet star are two species that can potentially be found in the waters near Key West. 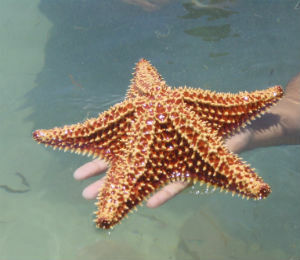 The Royal sea star, which is a beautiful purple and gold color, is another. There are plenty of other tropical starfish in the area as well, though other species prefer to live in more frigid climates. 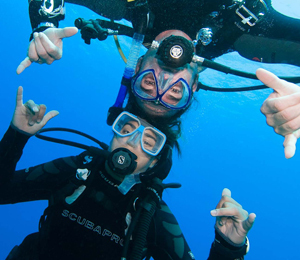 In order to see every starfish, a diver would have to travel around the world.